Where were you in 1977, Amy Taylor? 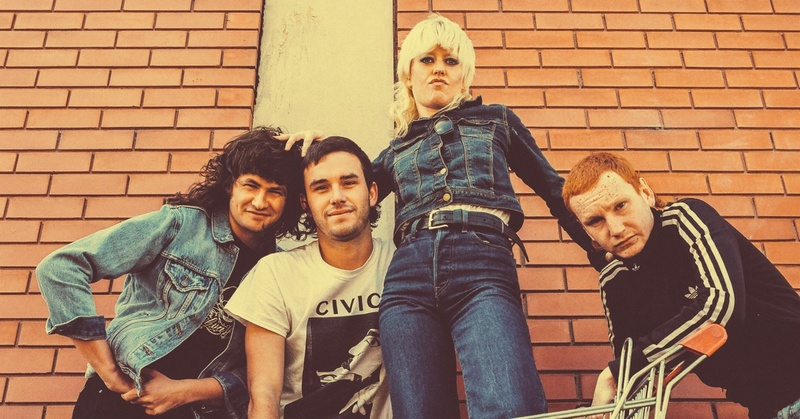 The foul-mouthed singer of Amyl & The Sniffers wasn’t even born! As a matter of fact she was still a long way off (her birth certificate says...1996). Thinking about it, at that time her parents were kids who didn’t even listen to punk rock, they listened to AC/DC and Fleetwood Mac. Even so, when you’re hit with the ten angry eruptions of Big Attraction & Giddy Up you could imagine that Amy has shared rehearsal rooms, stages and pyjama parties with Poly Styrene, Ari Up and Ana da Silva. That’s how pure her Brit-punk repertoire sounds. Or better said, Aussie-punk, as they’re from Australia and pray to The Saints, The New Christs and The Birthday Party.